Forensic Accounting Ad: Which One is Harmless? One is Deadly. The Other is Harmless. Which One Would You Pick Up? To the untrained eye, seeing the patterns that mark danger can be nearly impossible. The same is true of spotting fraud in your organization. 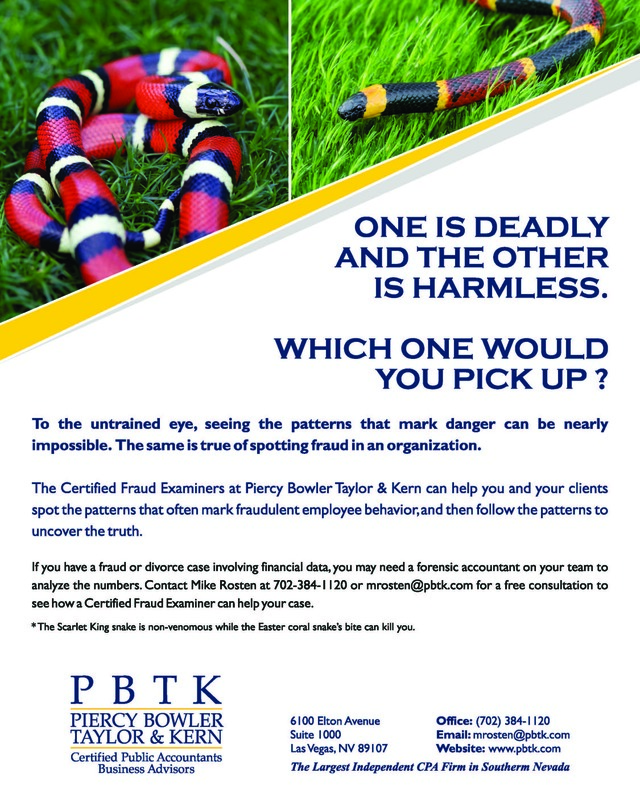 The Certified Fraud Examiners at Piercy Bowler Taylor & Kern can help you and your clients spot the patterns that often mark fraudulent employee behavior, and then follow the patterns to uncover the truth.